It's time for our first Fire and Ice guest post! Today, I invited Jaime Lee Moyer, author of the wonderful historical romance/urban fantasy/paranormal romance mix, DELIA'S SHADOW. Jaime wrote a wonderful post about her two couples in Delia's Shadow and the upcoming sequel, A Barricade in Hell. Enjoy it and make sure to enter the giveaway! A dark, romantic fantasy set against the backdrop of San Francisco devastated by the Great Quake. I've always said that everything I write contains a love story of one kind or another. Love stories, to my mind, are always between equals. It's all about the power dynamic. Delia's Shadow is no exception. Everyone wants a soul mate and a person to share their life with. The difference between fiction and real life is that if fictional characters are very lucky, and their author is a hopeless romantic at heart, they get to find that perfect person. Delia's Shadow tells the love story of Gabe and Delia, and the story of Jack and Sadie, threads of hope woven around a ghost story and a gruesome murder mystery. This is also a story about friends who are always there for you, who pick you up and help you go on. Police Sergeant Jack Fitzgerald and Sadie Larkin are planning their wedding when the book opens. The two of them are completely devoted to each other, hopelessly in love and planning on spending the rest of their life together. They accept each other's quirks and faults, share inside jokes. Jack and Sadie are unconditionally the best of friends, even when they fight. And they do fight; loud, passionate arguments that respect each other's point of view and end with their relationship as solid as ever. The two of them ARE soul mates and all their friends know Jack and Sadie are perfect for each other. Circumstances throw Jack's best friend, Police Lieutenant Gabe Ryan, together with Delia Martin, Sadie's best friend from childhood. Gabe is best man for the wedding, while Delia is maid of honor. That's all it takes to throw Sadie's matchmaker instincts into high gear. To say that Delia and Gabe resist Sadie's efforts to push them closer is an understatement. Both of them have scars and secrets, wounds that haven't healed. And both of them are grownups, determined to make their own decisions. Gabe doesn't know if he's ready to risk falling for someone. The 1906 San Francisco earthquake and the fire afterward killed his beloved wife Victoria and their unborn child. Gabe agonizes over every decision he made that day, and the unanswerable question that gives him nightmares: If he'd been home and not on duty, would he have been able to save them? He's mourned Victoria for nine years, making no attempt to move on. But something about Delia is different. Gabe finds himself attracted to her, an attraction that grows deeper as he gets to know her. Jack encourages him to rejoin the living, and reassures Gabe that Victoria wouldn't want him to be alone. Delia lost both her parents in the quake that took Gabe's wife and child. Sadie's mother took her in, and her best friend became close as a sister. She is just as nervous about growing close to Gabe, but for entirely different reasons. Delia sees ghosts, a secret only Sadie knows. A few years after the quake, ghosts drove Delia away from San Francisco. Now a mysterious spirit Delia names Shadow is haunting her. Shadow leads her back to San Francisco to solve the mystery of why Shadow never made it home one night. That mystery is linked to a serial killer Gabe and Jack are desperately trying to find before he kills again. Delia is certain that Gabe will doubt her sanity for not only believing in ghosts, but for thinking herself haunted. But as Shadow reveals details of her murder to Delia and the evidence that Shadow was murdered, Detective Gabe Ryan has no choice but to believe. Gabe and Delia end up working together on the case, each equally determined to see justice done. Along the way they become good friends who trust and respect each other, ask the other's opinion, and enjoy each other's company. Before too long, Gabe starts making excuses to spend all the time he can with Delia. Not long after that, stalked by the killer, surrounded by danger and both of them terrified of the future they both want being taken away, Delia and Gabe realize they love each other. Admitting that to themselves is hard. Saying it to each other is harder still. People have said to me that I wrote a very grownup love story. Since that is exactly what I set out to do, hearing that made me very happy. That is the story behind the love stories in Delia's Shadow. It is not, however, the end. Gabe and Delia, Jack and Sadie, will be back for two more books. I don't think it's a spoiler to say they still love each other. Jaime Lee Moyer lives in San Antonio with writer Marshall Payne, two cats, three guitars and a growing collection of books and music. 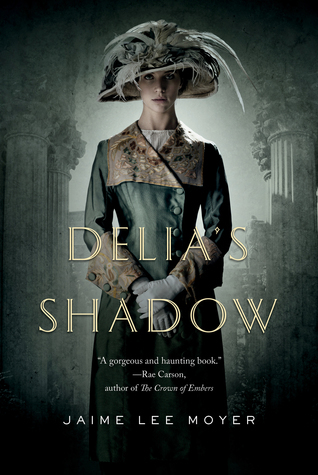 Her first novel, DELIA’S SHADOW, will be published by TOR Books in September 2013. Her novels are represented by Tamar Rydzinski of the Laura Dail Literary Agency. Jaime has sold short fiction to Lone Star Stories, Daily Science Fiction, and to the Triangulations: End of the Rainbow, and Triangulations: Last Contact anthologies. She was poetry editor for Ideomancer Speculative Fiction for five years and edited the 2010 Rhysling Award Anthology for the Science Fiction Poetry Association. A poet in her own right, she’s sold more than her share of poetry. Jaime has generously offered a signed copy of Delia's Shadow to one lucky winner. This giveaway is US only, my dears, apologies to my international readers. US peeps, enter the Rafflecopter and keep your fingers crossed. I enjoyed the post and I'm definitely looking forward to reading Delia's Shadow. I've had it on my wish list for a while now but haven't had a chance to pick it up yet. 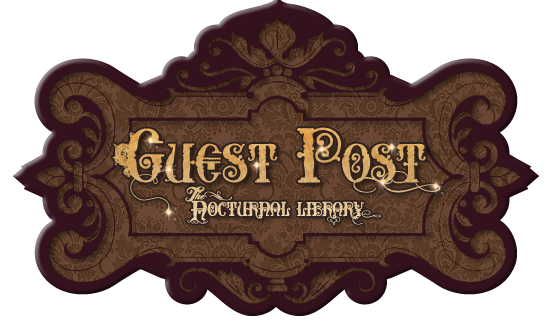 Wow, fantastic guest post! Am considering to read this book even more now. Sounds like a great story and spooky too. I can only imagine what that terrible quake in San Francisco might have been like, devastating, I'm sure. Thank you. "Everyone wants a soul mate and a person to share their life with. The difference between fiction and real life is that if fictional characters are very lucky, and their author is a hopeless romantic at heart, they get to find that perfect person." Loved that paragraph because it is so true! I loved the interaction and romance between Gabe and Delia. I cannot wait for the next book. I do believe in soul mates as I married mine 26 yrs ago. This sounds like a thoughtful, intelligently written novel. I look forward to reading it. I love the cover. It seems to be a little haunting, but beautiful. March with Jamie on my blog :) Fab post, girls! I like that there's both a strong romance and mystery in this book. Plus, the setting is unusual (as compared to the other books I read, that is). I've really been wanting to read this! I love that it has a mystery, romance and paranormal. Especially ghosts, my favorite! I also love the time period and setting. So this should be right up my alley! I love that this book has all the elements that I absolutely enjoy! It sounds so gripping. Every since I read your reviews of this series I been wanting to catch a piece of it myself. Great guest post! You are right... those darn fictional characters are extremely lucky! :) I have the book and I loved it and MUST have that next book (hint... to TPTB!). I even gave it to my mom to read and she throughly enjoyed herself. Great post!! I love the sound of this and have enjoyed reading the wonderful reviews! Can't wait to meet Gabe and Delia. I do love grown up love stories. :-) Thanks for sharing! I have been eager to read this book since I first saw it spotlighted. Sounds like a really intriguing and beautiful love story. Thank you for the chance to win. I've had my eye on this book for a while because that cover is gorgeous. Really love the sound of this one. And what a lovely guest post, thanks so much for sharing!